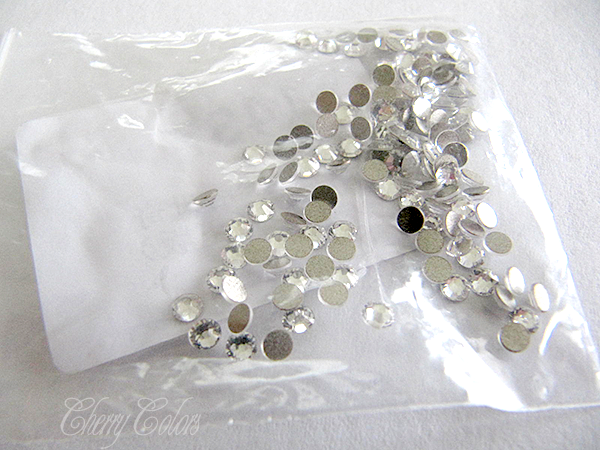 Review: Swarovsky nail crystals SS10 - Cherry Colors - Cosmetics Heaven! 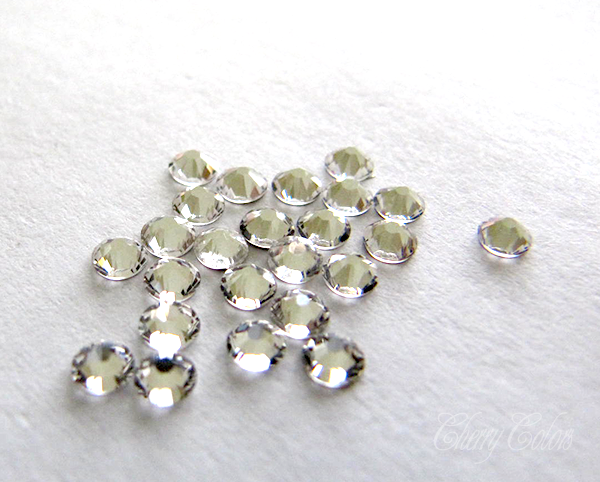 I have been dreaming about Swarovski nail crystals since I realized my 1800 crystals are utter crap (bought from eBay). Born Pretty Store has made my dream come true, by sending me this little package. These have a foiled back cap, which prevents the crystal from absorbing the nail polish and turning matte (that's what was happening with the cheap ones). They came packaged in a tiny sealed plastic bag - 144 in them. The thing I love the most of them is that they sparkle like mad! I also like to reuse them. I am a bit frugal whenever I can be, so when I saw that you can reuse them, I was ecstatic. Just clean them thoughtfully and ole' - ready to reuse! 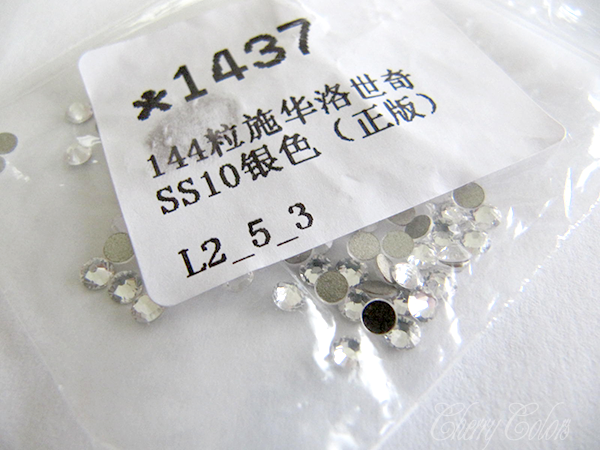 I got them in the size SS10, which is 2.9mm big. Small enough to fit several on my short nails. I am happy and excited about them. I would like to stick them to every damn manicure I make, haha. 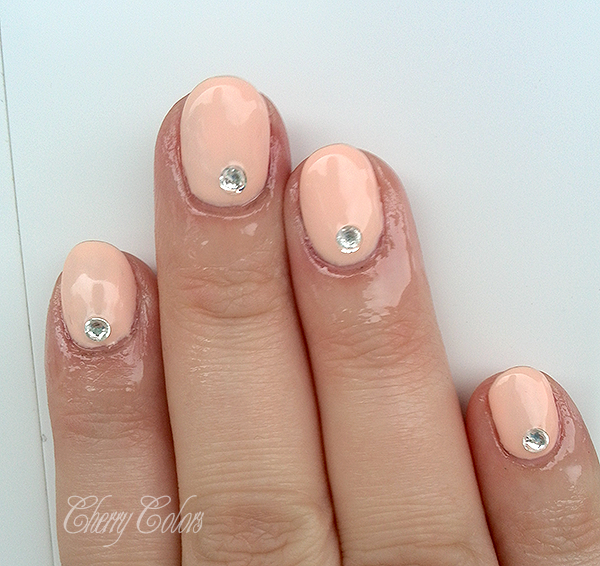 They sparkle like mad in real life (couldn't capture it on camera) and they look stunning on every manicure. I wish I had discovered them sooner because now my life is different. 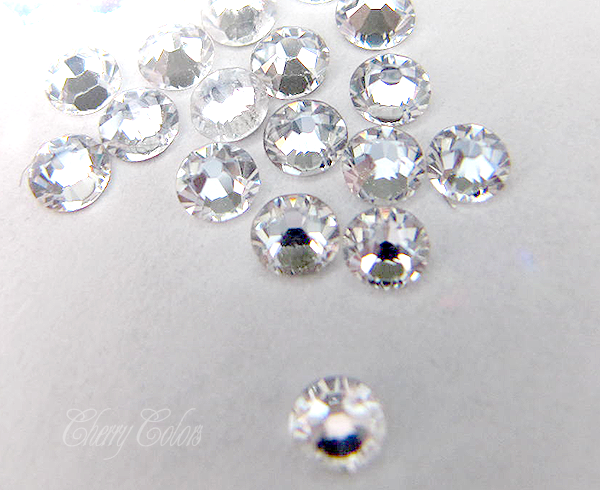 If you like sparkly stuff and love rhinestones, then you *need* these in your life. Seriously. They are worth the extra price. You can also get 10% off if you use this code when ordering with them!